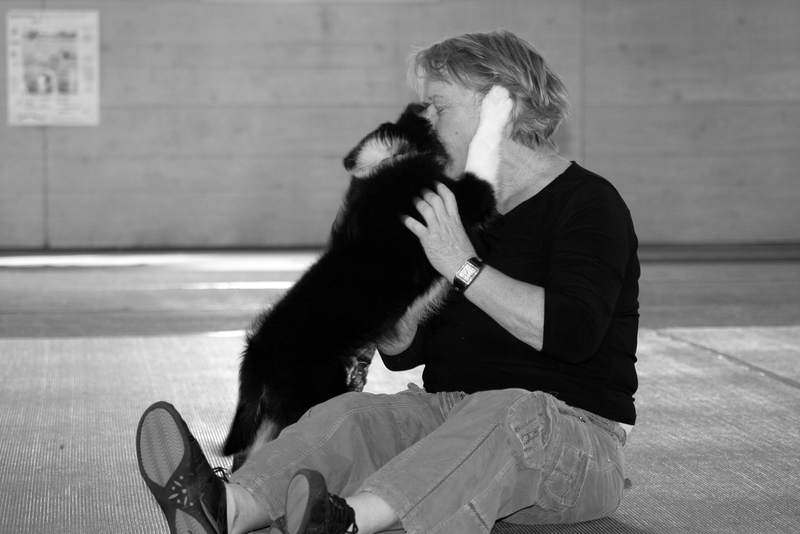 Have you ever wondered what makes a spectacular dog trainer or how the owner and dog have built such a great rapport? Quality time and commitment is what it is all about. Great trainers spend as much time as possible with their dog, working and playing with him regularly every day. Frequently starting with a pup of 8 to 10 weeks of age, they begin with play training, becoming the most interesting thing for that young dog to interact with. 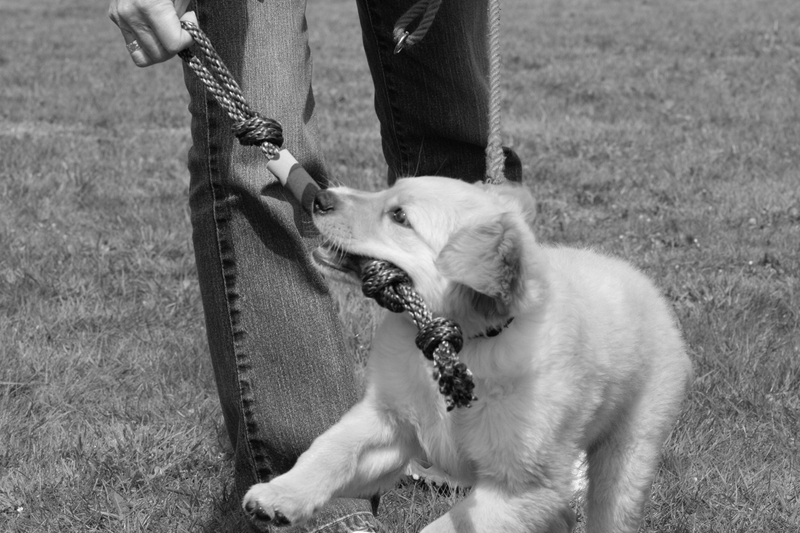 With play training, commands can easily be channeled in while having fun. While it requires a lot of energy, the results are well worth it. 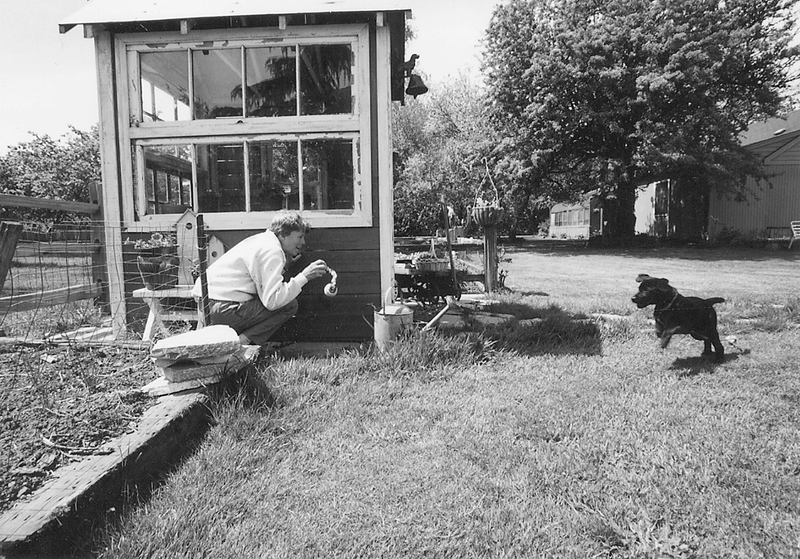 When you are a fun person to be with, your dog is much more willing to work with you. When play training your pup, don’t be afraid to be silly, exciting and uninhibited. Run across the yard clapping your hands, or flop down on the ground and let him crawl on you and give you kisses. Hide behind a shed or a tree or do somersaults across the lawn. Take a long, snaky toy and wiggle it on the ground, encouraging him to chase it. You can easily teach the “find it!” command by hiding tasty treats or a favorite toy behind a door or under an empty box, then encourage the puppy to find it. This helps him learn to use his nose as well as begins to develop his trailing and retrieving instincts. Bounce a ball in the air, (making sure the ball is too large for him to swallow), and encourage him to catch it. Enthusiastically tell him “Good catch! Good boy! Did you catch the ball?” Or hide behind a shrub, tree, door or other place and call him excitedly. When he finds you, get down on your knees and wrestle with him, or play a game of tug-of-war and tell him “good find!” “Did you find me?” When you are sitting on the floor with a toy, hide it between your legs and encourage him to “find it!” Reward him profusely when he does. Sit down with your back up against the wall in your hallway and, with the puppy on one side of your legs, toss a toy or his ball the other direction, while encouraging him to jump “over!” your legs to get the ball. Or have him “go through” your legs, while you lift one leg up off the ground so he has to go under one leg and over the other one. When he runs up to you and you’re standing, toss a toy between your legs and encourage him to run through. When you are playing with a toy or ball, let your puppy win frequently so that he doesn’t reach the point where he doesn’t want to bring the toy or ball back to you. Why should he bring it back to you if you’re just going to immediately take it away from him? Toss the toy, and then run with your puppy to race after it. Pretend to try and get it first, but let him get it. Let him prance around and ‘kill’ it properly before touching the toy. Some indications that you are ‘stealing’ the toy from him too often would be the puppy shutting down, not retrieving, playing catch-me-if-you-can games, or not holding onto the toy. Always be aware of what your pup is doing and where his focus is. If his attention starts to wander, drop to the floor, or if you have a toy in your hand, tap it on the ground. Or, calling his name excitedly and clapping your hands, run away from him. Remember that interactive play should be fun for the dog, but not necessarily for you. Make sure that when you train, you train with passion and direction. Keep it upbeat and fun, and always leave him wanting more so that he looks forward to playing with you again. You will find many more suggestions in Building Blocks for Performance by Bobbie Anderson and Tracy Libby. This entry was posted in PUPPIES AND PUPPY TRAINING and tagged play training your puppy, puppies, puppy, puppy training. Bookmark the permalink.